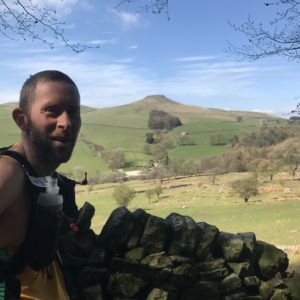 This was my 3rd consecutive running of the 3 Shires and I continue to be blown away by just how outstandingly beautiful that side of the Peak District actually is. 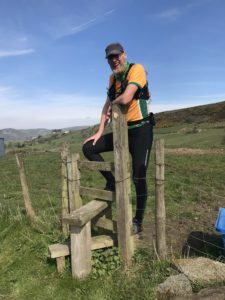 This LDWA organised event is a minimum of 21 miles but you can add in any combination of a Shutlingsloe loop (2 miles) and a Cheshire loop (7 miles). Obviously we had to do them all. The weather was stunning. A beautifully cold morning progressed into a warm Spring day. The event is more focussed on the experience rather than racing therefore there is a very friendly and relaxed vibe. Altogether about 160 people took part but only about 40 of them were runners, the rest walking the route and setting off an hour earlier than the runners. We sat off at 9am from Swythamley and took in the following: Gun Hill, The Roaches, Lud’s Church (this is absolutely stunning), Shutlingsloe (the Matterhorn of Cheshire), Wildboarclough, the Cheshire loop and Danebridge. For the LDWA member entry fee of £7, this has to be the best value event in the calendar and, in my eyes, one of (if not the) highlight of the year. 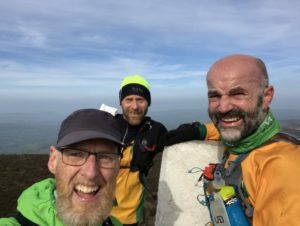 I brought along Steve Haake and Ben Heller this year and I think that they were suitably impressed with the friendliness of the marshals, the route, the food at the checkpoints and the meal at the end. All in all an excellent experience and highly recommended.